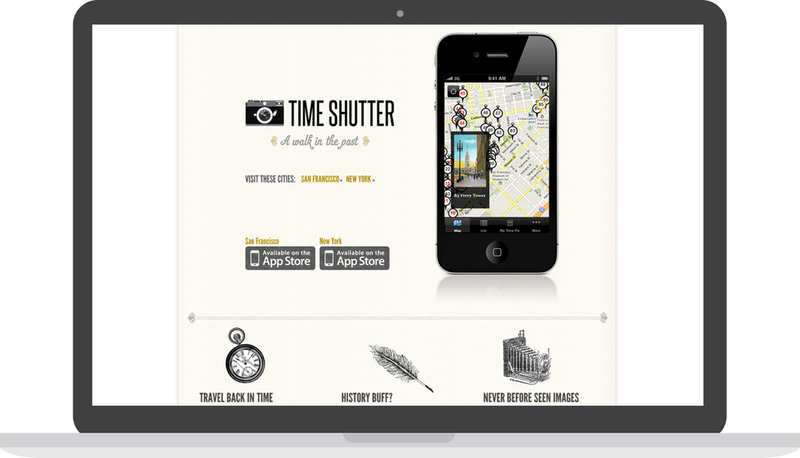 Time Shutter Website. Site promoting the app that allows users to explore landmarks of San Francisco, and compare what the city looked like a century ago to what they look like today. Design of overall website & branding/logo. Worked closely with engineers and project managers. Included CSS/HTML, Drupal theming, content management, and testing.